Getting the opportunity to go to different places around the world can be one of the most enriching experiences of your life. You may see places you only ever dreamed of once in your life and get to experience new cultures and meet new people. The only thing that could make all of this better for you is if you had the chance to do it all on your motorcycle. 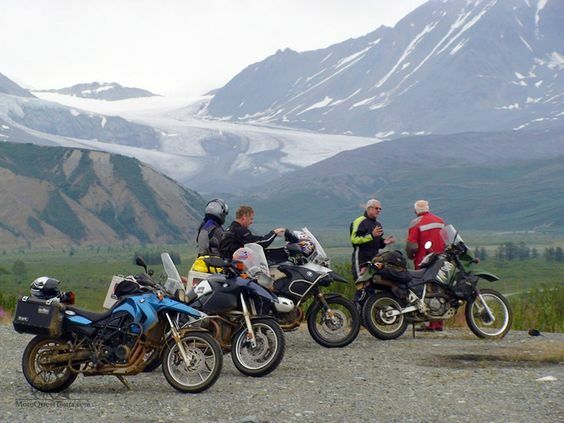 One of the biggest trends in motorcycle riding right now is not only going on a motorcycle tour but taking an adventure motorcycle tour to combine all of the great aspects of travel that you love the most. Taking a vacation or being a part of tour to places around the world can be a lot of fun, but having the opportunity to do it while you are riding just adds to the overall experience. You get to see the area in a way that you may not ever be able to do while riding in a bus or a car. Not only do you get more of an outdoor experience so you can be closer to your surroundings but you also get to feel and smell the experience unlike the people that may be riding in that bus. It gives you a much more tangible way of seeing the part of the world that you are visiting that simply does not compare to any other type of travel. This type of tour can really be a great combination of everything that you love most about travel. Adventure tours can pretty much be anything you want them to be. It could be just a long weekend ride into an area nearby that you have never explored or it could be a trip that lasts for weeks or months and covers large areas of different countries. There is very often a great deal of planning that goes into taking this type of tour as you want to plot out where you are going to go, if you will need passports, different currencies, ability to speak different languages, what to pack, where to stay, insurance and other factors, but once you get all of that ironed out you can be ready to go. Many people turn to camping as their primary way of staying so that they are able to ride and go and experience the outdoors all day long. Going on an adventure tour on a motorcycle lets you go to nearly any place that you may have ever wanted to see. It can truly be one of the most enriching experiences of your life. Take your time to make the right preparations like taking your luggage and other protective gears along with you for a trip like this so you can be sure that you can really enjoy every moment of the trip on your bike. You will find that this may turn out to be the only way you ever want to take a vacation again.